The age-old debate of progress vs conservation has divided generations of Singaporeans. Advocates of progress say such sacrifices are necessary to maintain the economic growth of Singapore and that heritage conservation adds little economic value to the country. On the other camp, some Singaporeans have argued that our national heritage cannot be priced in economic terms as it gives Singapore its unique identity and familiarity. While the Government has in the past made considerable efforts to preserve our heritage sites, some have inevitably fallen under the chopping block of “progress”. The Old National Library Building was a historical building at Stamford Road in the Museum Planning Area of Singapore. Originally completed in 1960, it housed the National Library and was a national icon for many Singaporeans. Despite a huge groundswell of public dissent, the library was closed on 31 March 2004, and was demolished to make way for the construction of the Fort Canning Tunnel to ease road traffic to the city. In September 2011, the Land Transport Authority (LTA) announced the plan to construct a new 8 lane-highway, parallel to Lornie Road, to cut through part of Bukit Brown. About 5000 tombs are expected to be exhumed. Authorities say digging up Bukit Brown for the road will ease congestion from the Pan-Island Expressway, the first step towards further development of the area: the Ministry of National Development (MND) is considering converting all of Bukit Brown into housing by 2030. The Rochor Center is an complex of 4 HDB blocks, built and completed in 1977. 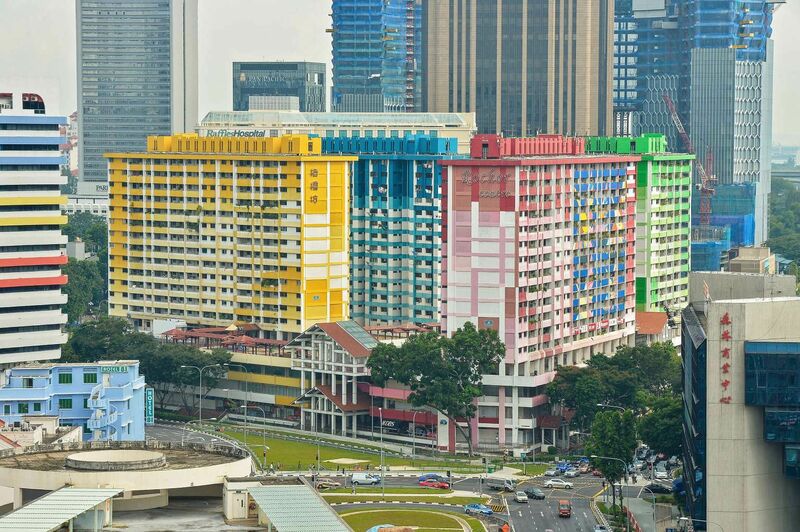 For nearly 40 years, the iconic, yellow, green, blue and red blocks have been an indelible part of the Rochor District. With its quaint confectionery shops, eateries and vintage provision stores, the Rochor Center brought its heartland charm to the downtown area. Now it is slated to be demolished to make way for the construction of the North-South Expressway. Dakota Crescent is one of Singapore’s oldest public housing estates. The low-rise housing estate in Mountbatten was built in 1958 by the Singapore Improvement Trust. The housing estate was vacated in late 2016 to make way for new developments under Mountbatten’s estate renewal plans. 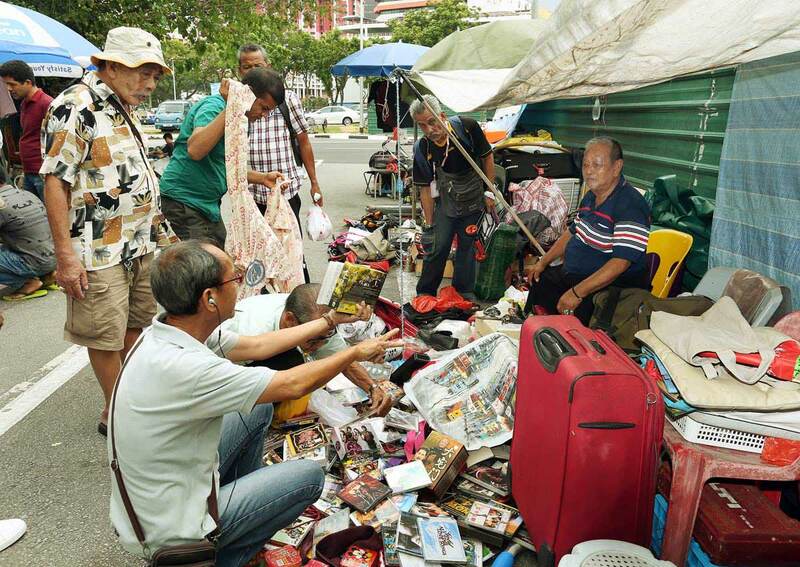 Since the 1930s, Sungei Road and its surrounding roads became a flea market better known as the Thieves’ Market. All sorts of second-hand merchandise including contraband goods were sold here. Until the British Army withdrawal in the late 1960s, it was also a place to buy army merchandise like uniforms, army gear and other army surplus, possibly looted earlier from British military stores. Now the historical flea market is making way for the construction of an MRT station — Sungei Road MRT. The NEA in 2014 rejected alternative locations for the flea market to be relocated. Previously an important landmark, the former National Theatre (国家剧场) was built on the slope of Fort Canning Park along River Valley Road in the Museum Planning Area of Singapore. The theatre, with a capacity of 3,420 seats, was officially opened on 8 August 1963 to commemorate Singapore’s self-government and was the first and largest national theatre in Singapore back then. 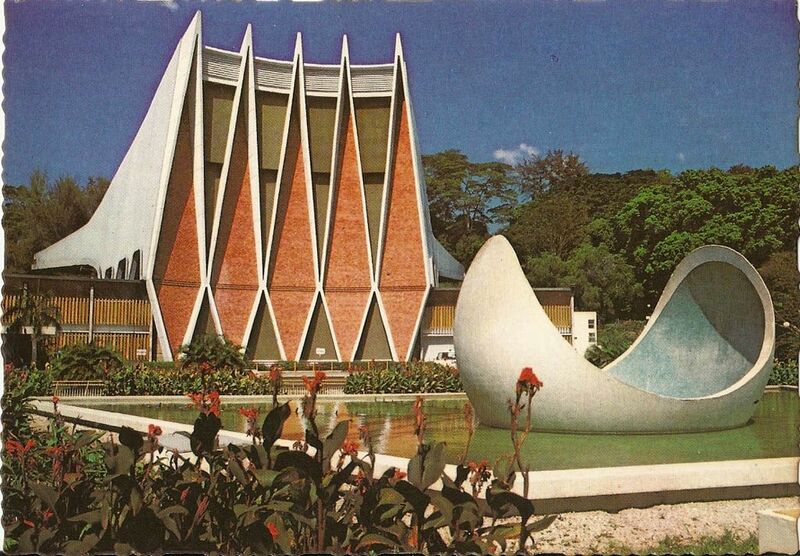 It was the venue for various international performances, universities’ convocations and the National Day rallies until it was demolished in mid-1986 to make way for construction of Singapore’s first MRT lines which opened in 1987 . Built in 1977 and closed in 1999, the Queensway cinema, equipped with two screens, reached its peak in the late 1980s. The area used to be bustling with life in the evenings, where long queues were common sights as movie-goers lined up for tickets of their favourite movies. The abandoned building was demolished in 2013 to make way for future residential projects. Before Universal Studios, there was the Tang Dynasty City. 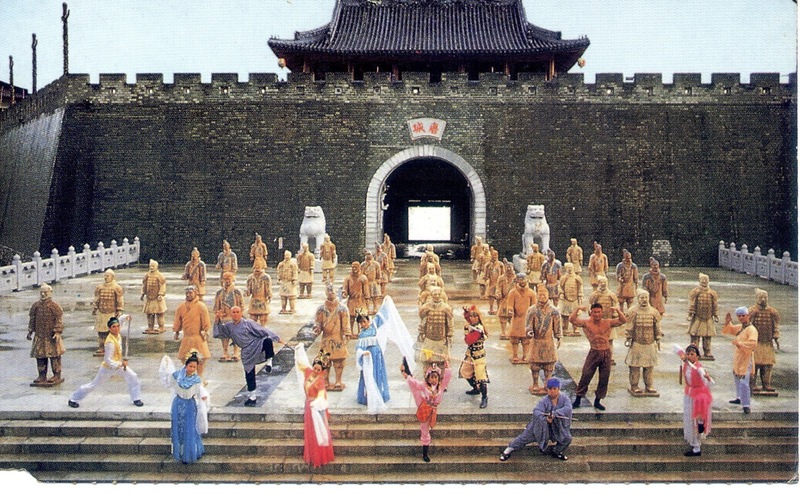 Announced in May 1988 and opened in January 1992, Tang Dynasty City (or Tang Dynasty Village, as it was known) cost $70 million to put together. Tang Dynasty City was intended to be a ‘movie town’ where films would be produced, as well as a theme park for the whole family. However, tough economic times forced the landmark to close. The abandoned Tang Dynasty City was demolished in 2009 and the site is now an empty grass patch. The EU Court Building was built in the 1920s by prominent businessman Eu Tong Sen. The building emulated the Art Deco movement popular in Europe and North America at the time. In May 1991, a decision was made to forgo preserving the four-storey Eu Court and conserve Stamford House instead as the latter had more potential for commercial purposes. Despite protests by the public, Eu Court was demolished in 1992 for road widening with the aim of easing future traffic congestion on Hill Street. Today, a new building, Stamford Court, is sited on a portion of the site of the former Eu Court building. One of Singapore’s most iconic and beloved landmarks, the stadium opened in July 1973 and officially closed on 30 June 2007. It was demolished in 2010 — 2011 to make way for the Singapore Sports Hub and the new Singapore National Stadium, which opened in 2014. The Old National Stadium witnessed the golden age of Singapore football, a time when the Kallang roar reverberated through the wide colonnades of the stadium grounds.